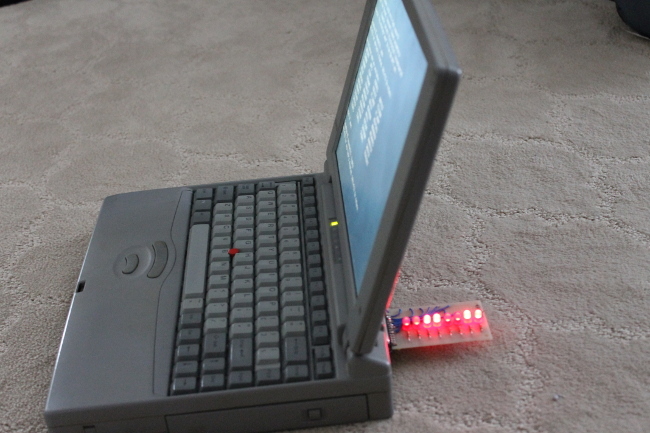 The parallel port on my vintage laptop can source enough current to light up a few LEDs. 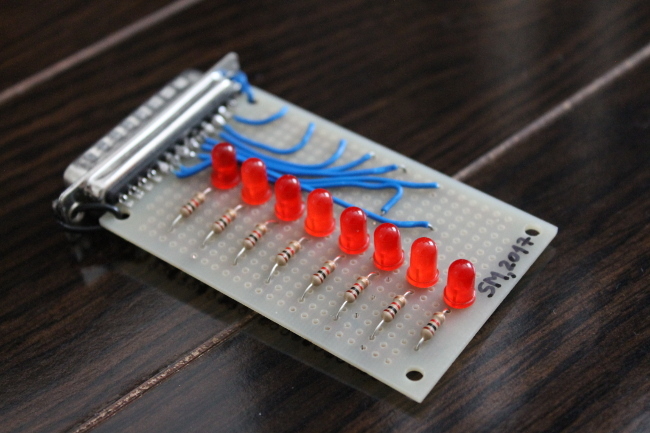 With this simple circuit, I continue to improve my soldering and PCB organization skills. The LEDs are driven by a simple program running under my own homebrew operating system, Snowdrop OS.